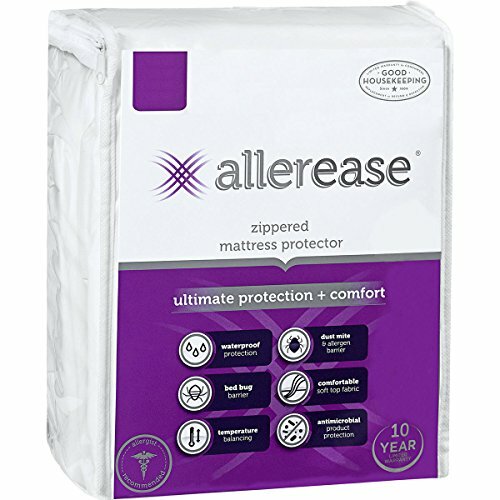 COMPLETE ALLERGEN PROTECTION: If you have allergies or asthma, your bedding may be making your symptoms worse. 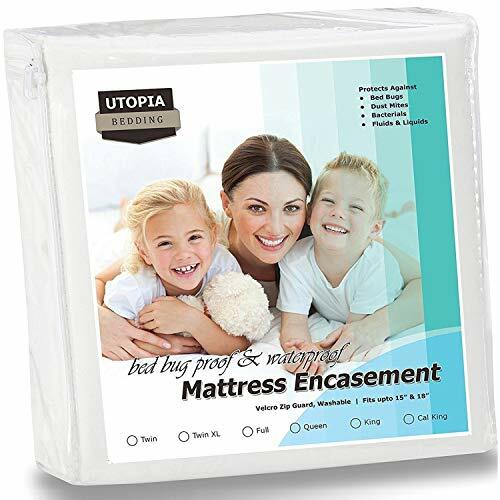 Our mattress protector creates a layer that guards against dust mites, pet dander, pollen and other household allergens from collecting in your bedding. 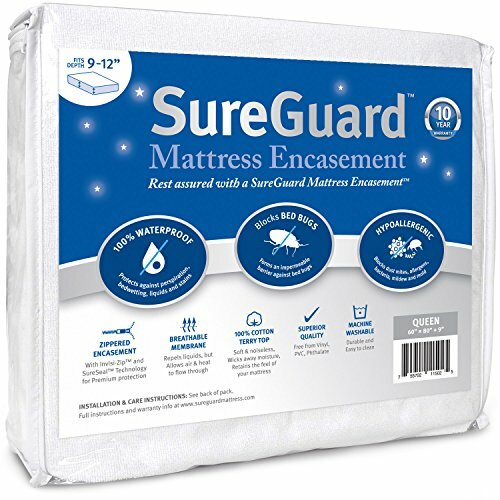 EXTEND MATTRESS LIFE: Fully encasing your mattress with a durable and comfortable zippered protector not only protects against household allergens, it extends the life of your mattress by keeping it fresh and clean, and preventing odors from bacteria growth. 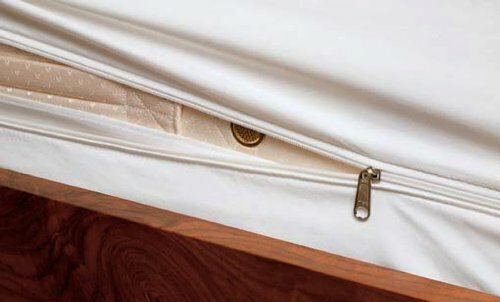 KID & PET-PROOF: Have a busy family that is prone to spills, bedwetting, or other accidents? 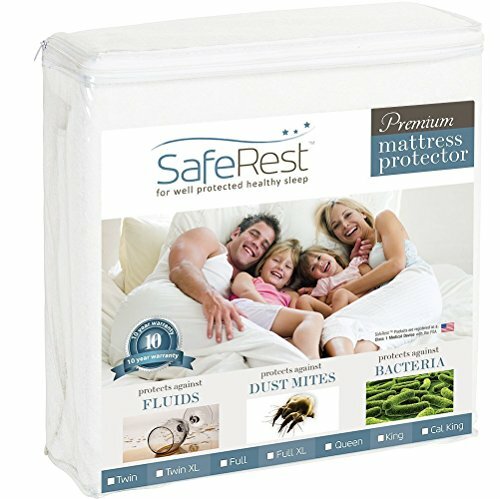 Not only are these mattress protectors perfect for those with allergies, asthma, or eczema, the waterproof mattress protection prevents liquids from staining and ruining your mattress. 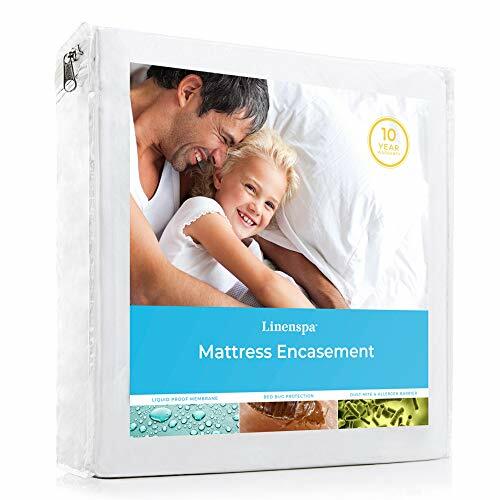 TEMPERATURE BALANCING: These mattress protectors use temperature balancing technology that adjusts continuously to your body temperature so you're never too hot or too cold. 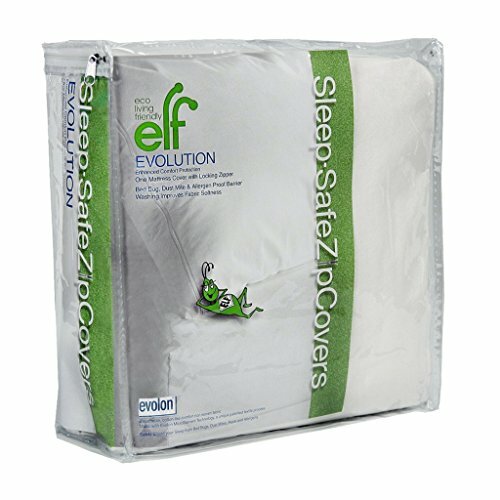 EASY CARE: The zippered closure fully encases your mattress and fits like a glove. 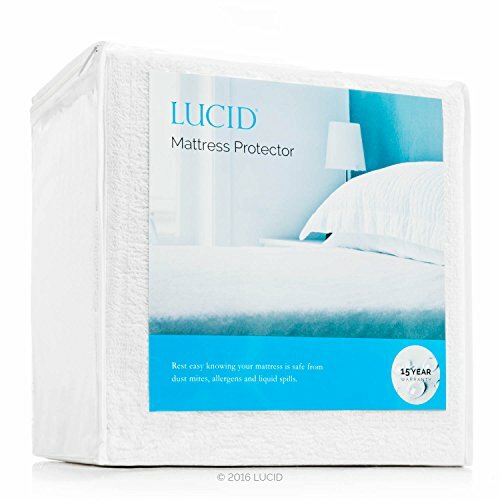 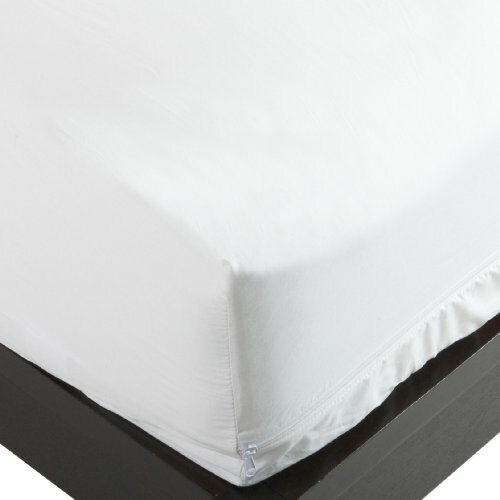 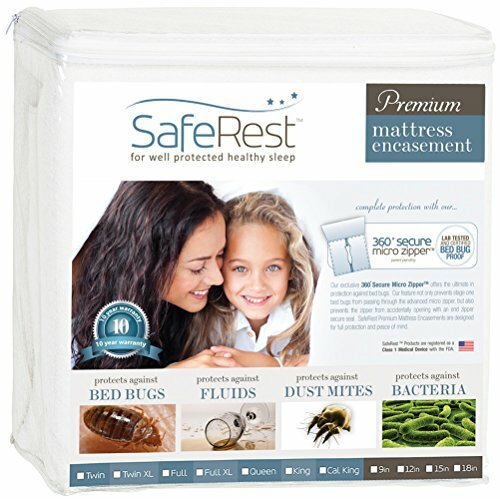 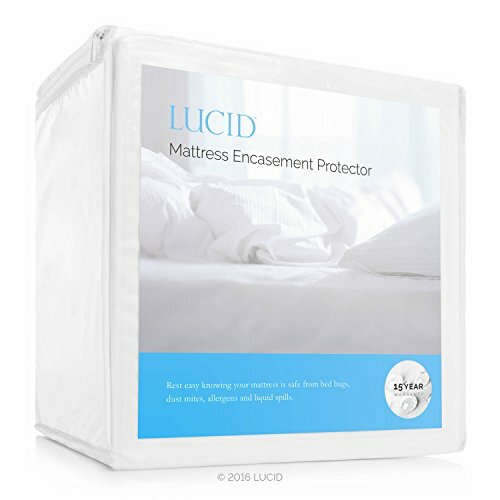 These mattress protectors can stretch to fit deep mattresses, and have a hooded Velcro flap the zipper tucks into, creating a double seal that is bed bug escape and entry-proof, ensuring bed bugs cannot burrow in your mattress. 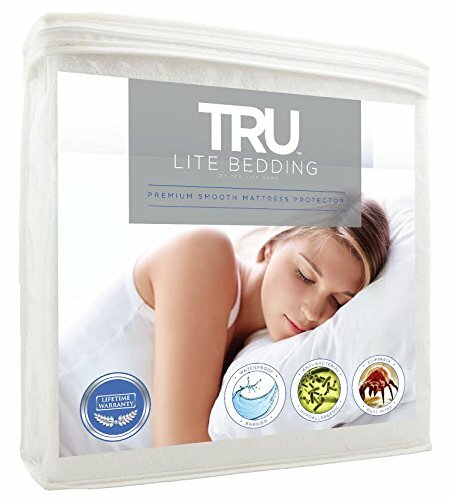 Machine wash and dry for easy care.